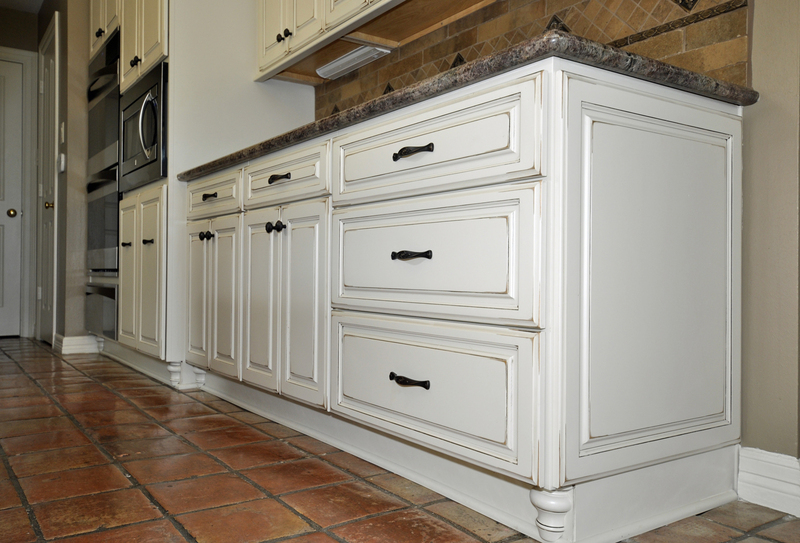 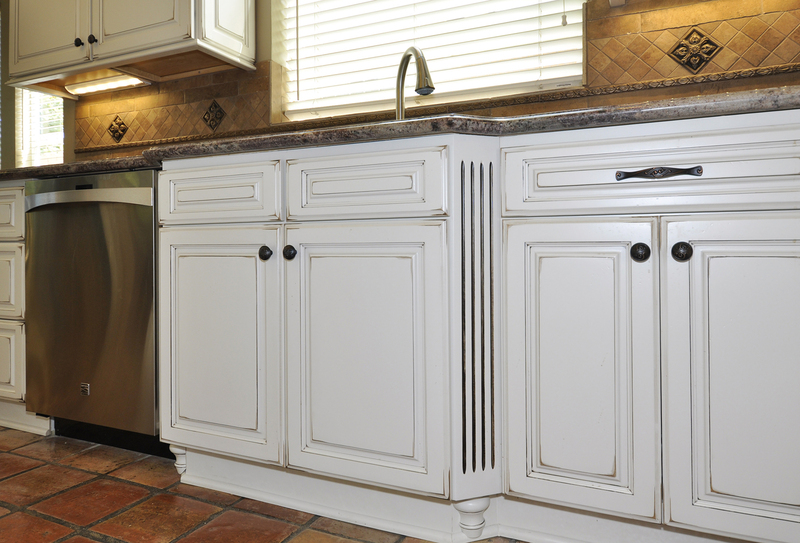 Custom Fieldstone Cabinetry in Warm Cottage Finish with many extra details, anchored on original Saltillo Floor Tile. 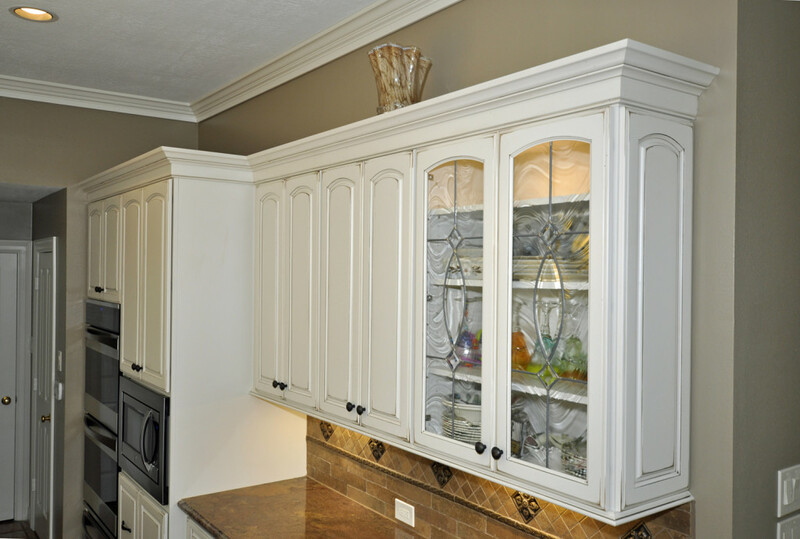 Leaded glass doors. 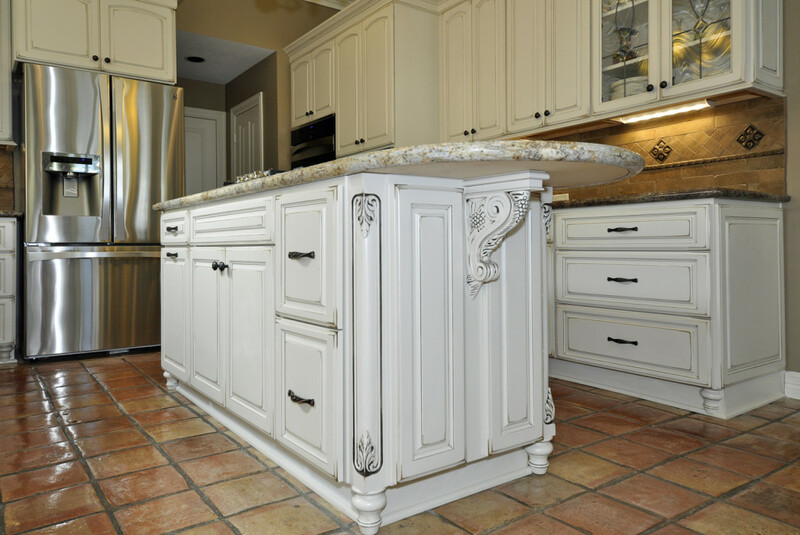 Extended end of granite on kitchen island supported by decorative corbel. 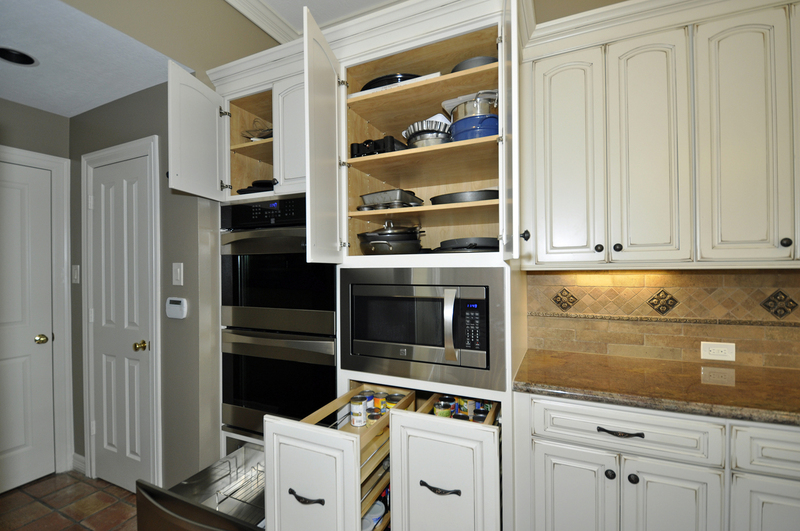 Raised end panels on base units and wall units add extra depth to the cabinetry. 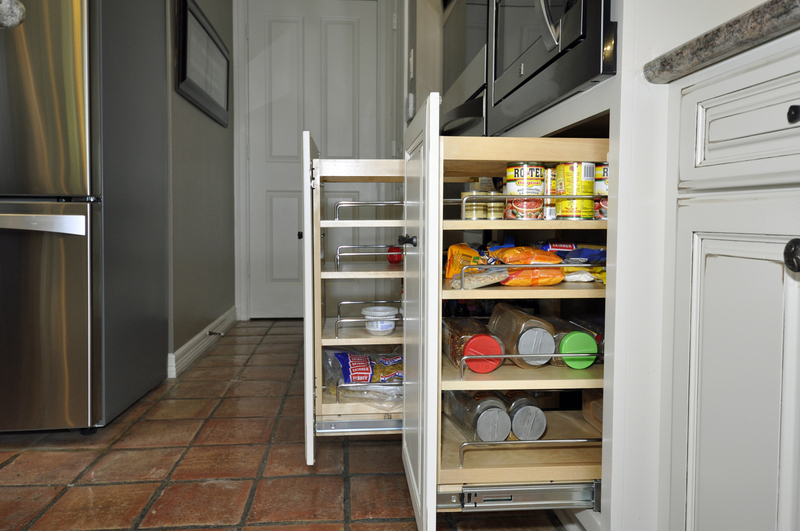 Trash can pull out, pantry pull outs and roll out trays make for more efficient use of cabinetry. 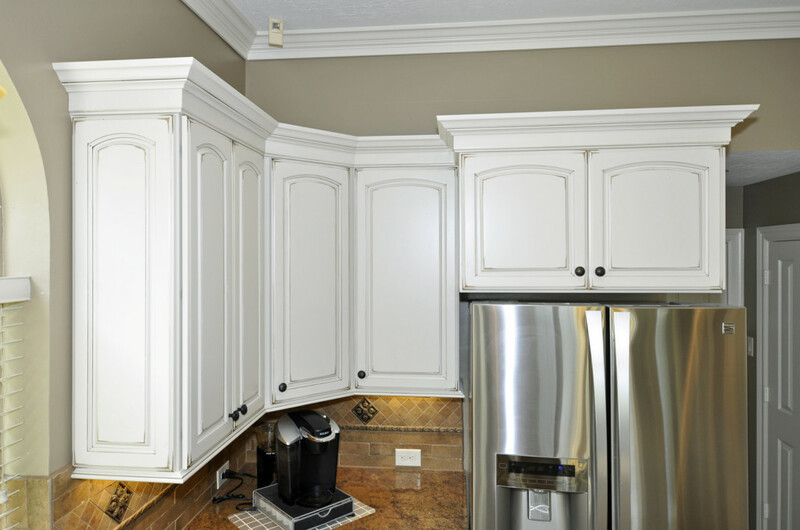 Combination of backer and crown molding create a stacked molding effect. 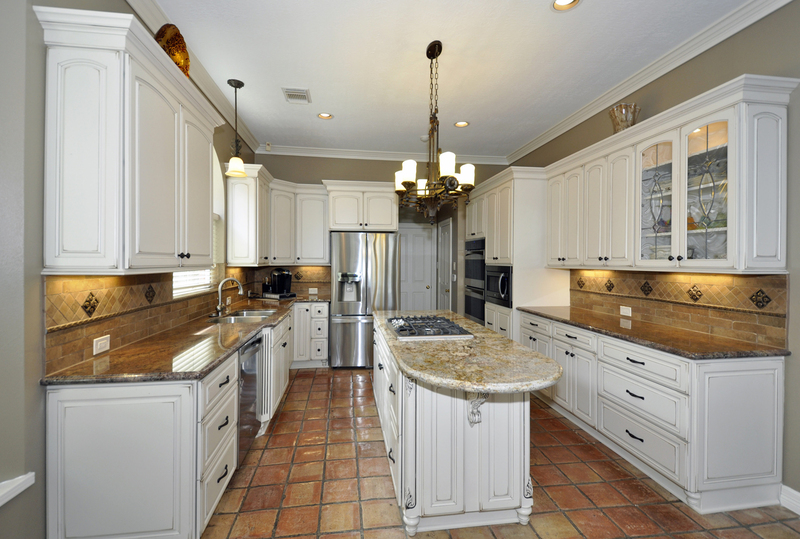 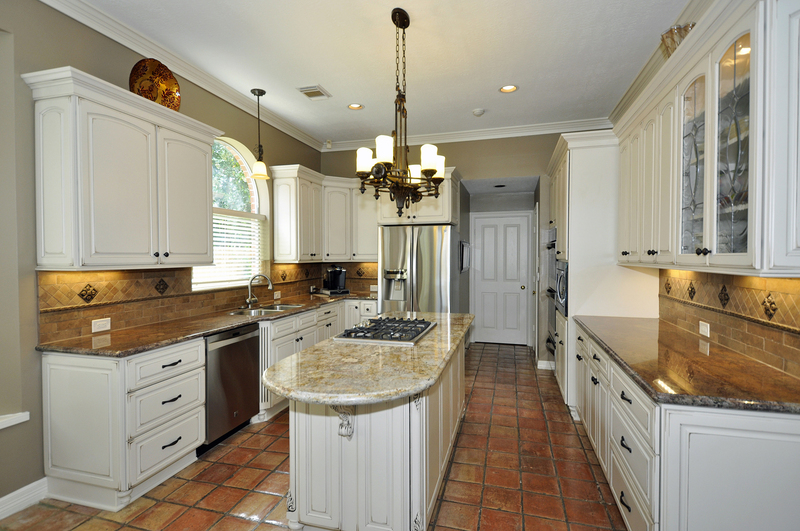 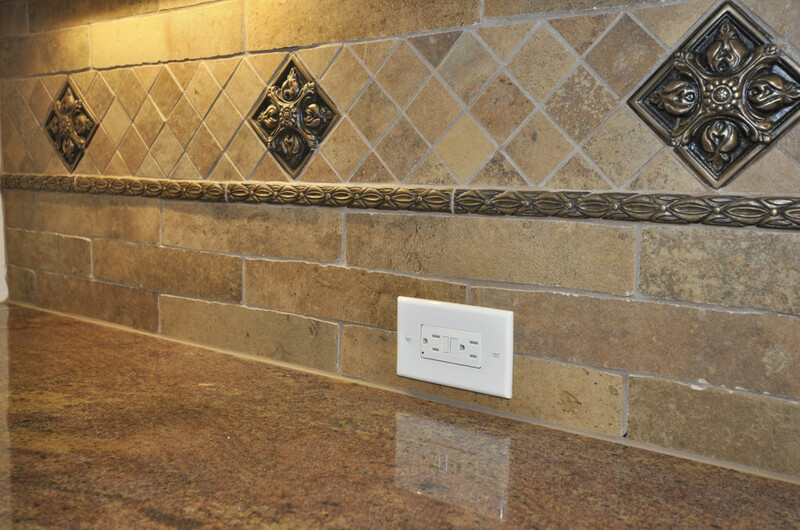 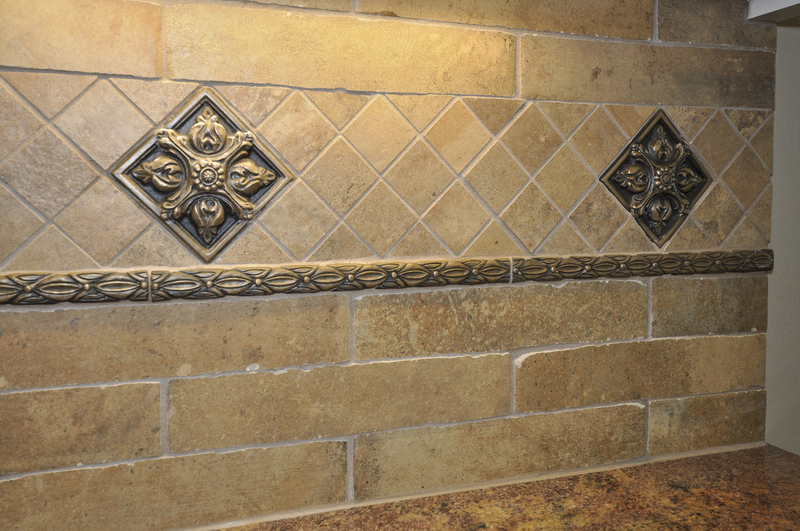 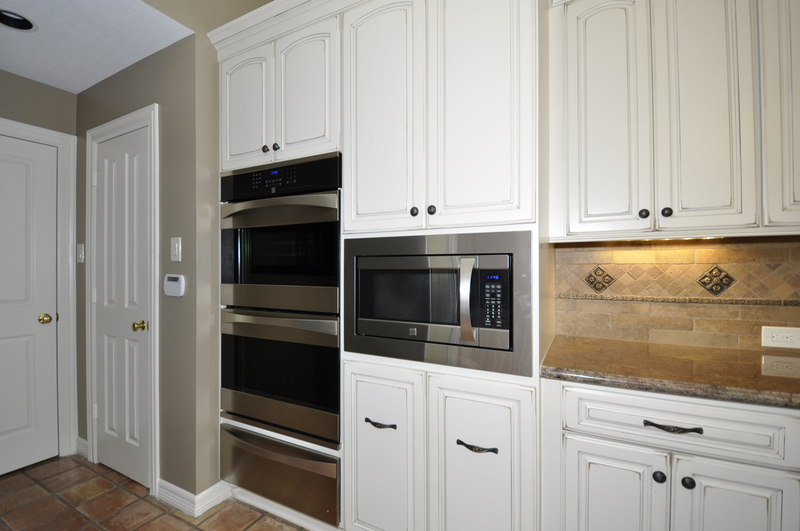 Granite countertop and backsplash tile continue with the added custom and natural effect. 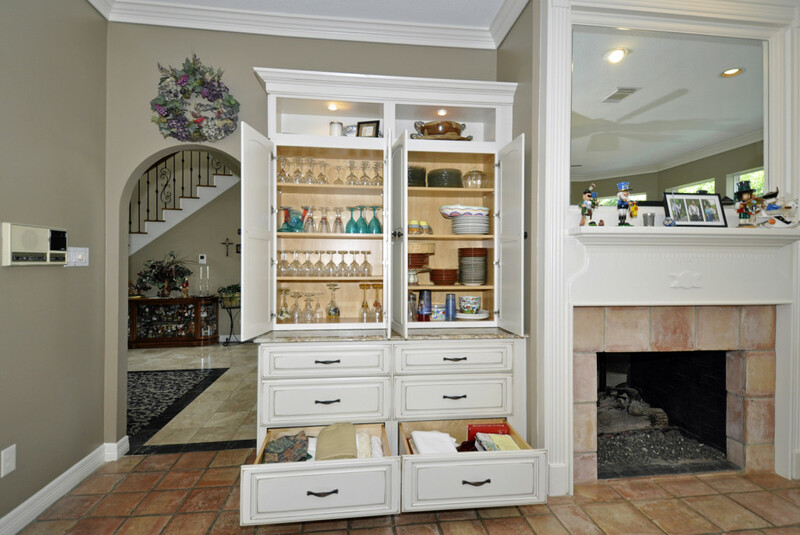 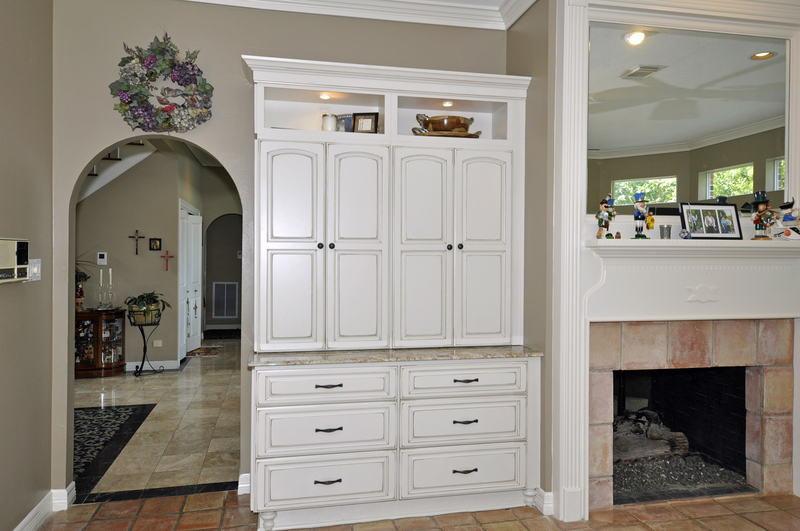 Storage cabinetry to left of fireplace provides ample storage for kitchen wares. 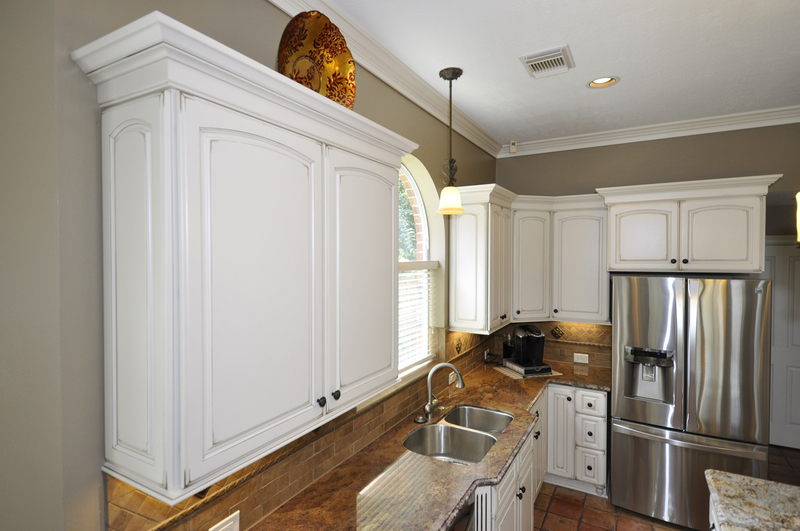 Kitchen, breakfast and adjoining family room painted to compliment new cabinets, countertop and backsplash.